Added ProgrammaticChange event. Now we can perform, say a new SQL SELECT based on the class' Value or ExtraValue, as we select on the dropdown grid via either arrow keys or mouse click. 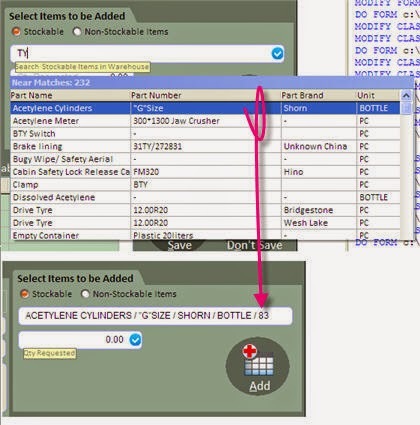 Or update related objects on the form based on this class, as we select. This event is what gets fired when selecting via dropdown grid. Fixed bug on Enter key suddenly changing value onto a different one via updating _SearchKeys with what is selected on dropdown and moving SelStart position at the end as well. Now, when you want to use one of those multiple values it returned, then you can utilize GETWORDNUM(). That capability is on both the shared and per Subscriber versions. May I add it to my Blog ? If Yes .. how...? You have some fantastic VFP classes. Do you have extended classes available to buy?